Enter up to 30 names, one per line. 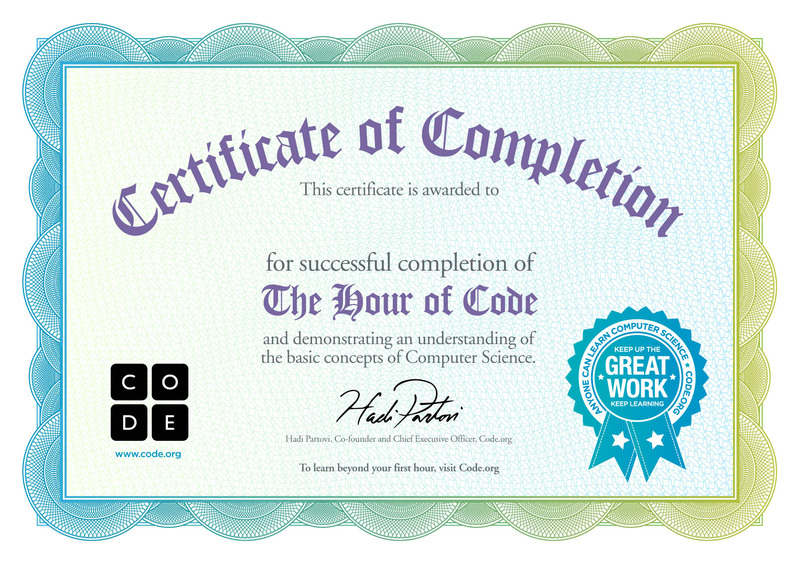 A printable page with personalized Hour of Code certificates will be generated. 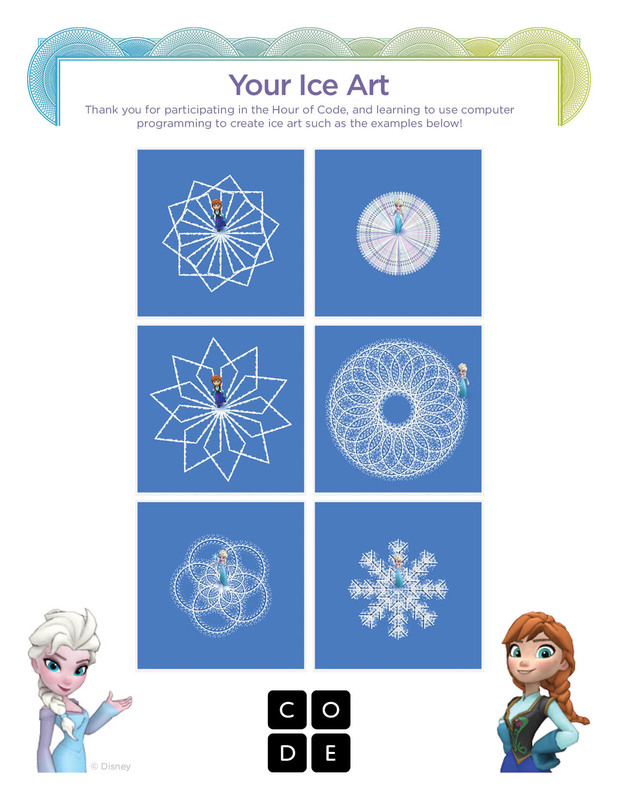 Want a blank certificate template to write in your students' names? Print one here. 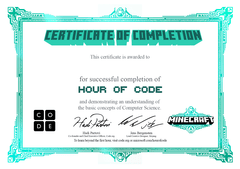 It is recommended that you choose Landscape when you print the certificates.